First of, I should admit that I enjoy the fact that I am usually not doing too bad, but I don’t want to focus too much on this. Occasionally it gives me a kind of emotional ‘kick’, which is a story on itself. But what I typically enjoy during a race is the fact that I learn a lot from racing, you learn a lot about yourself: where you are in terms of stamina, what your weaknesses and limits are, surprise yourself about the role of the brain on your performance, how you can regain energy while exhausted, but also just learn about the practicalities of racing itself. I am generally rather poor at pacing, typically starting off too quick ending up having to drag me through and ‘suffering’ during the last part of the race (regardless of its length), but if I get it right once in a while I am really glad I did. If I didn’t screw up too much, that’s fine and even when I broke down during a race, I have yet to regret the ‘suffering’ part, and over time I believe it’s also part of the learning process. 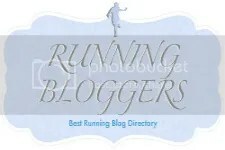 Dit bericht werd geplaatst in Uncategorized en getagged met learning, running, streetrace. Maak dit favoriet permalink.